Holly sees caring as more than a job. 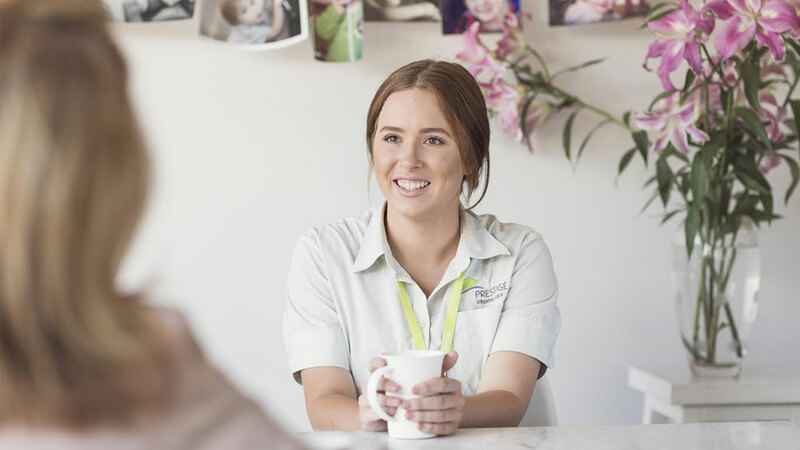 Sitting and chatting over a cup of tea, this high achieving nursing student and Prestige Inhome Carer has a warmth and passion for her job that has her waking up every day and enjoying her client visits, where she says she can help make their day a little better. With a unique way of bringing comfort and care to her clients, Holly goes the extra mile, even applying eyeliner at times to make her clients feel extra special. That’s what makes Holly such a valued member of the Prestige Inhome Care community. With such an open heart and warm smile, the team from Prestige Inhome Care were delighted to sit down with Holly and ask ‘What are the nicest moments in your day?’ Holly straight away says that there are not so much individual moments but rather entire days of joy, saying that heart is at the centre of the job. As well as sharing her day to day experiences as a carer, Holly brings a generous spirit and kindness that transcends age. In this interview, we celebrate Holly’s valued traits as an active carer in the Prestige Inhome Care community. Watch the full video of Prestige InHome Care’s Holly as she speaks of heart, enjoyment and care.